Waroeng Iga. 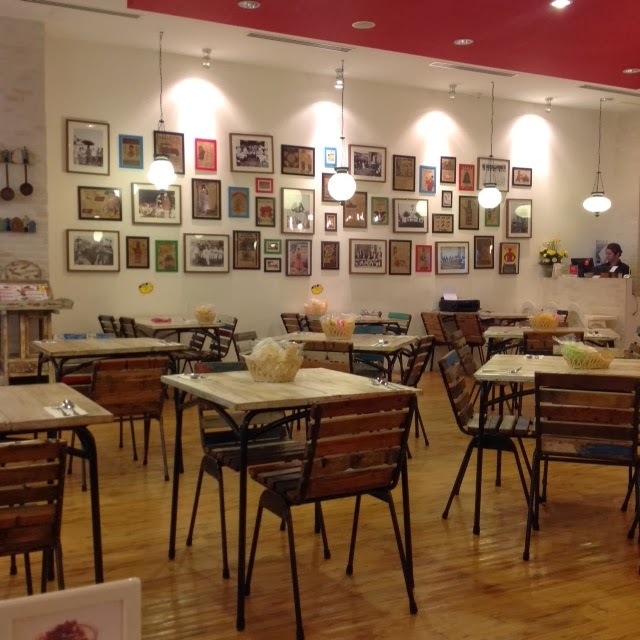 You might have heard about this Indonesian restaurant which first opened a few years ago at The Strand Kota Damansara. 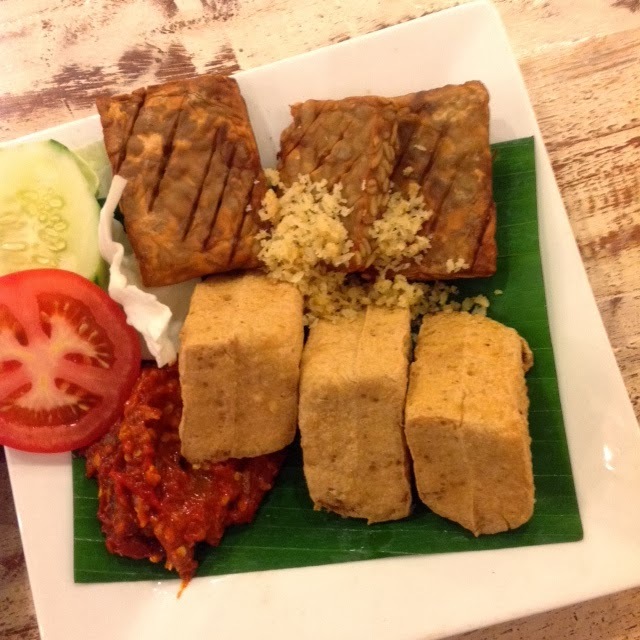 That outlet is now temporarily closed but you can enjoy your favourite Indonesian food at their second outlet in One Utama Shopping Centre. There are many Ayam Penyet restaurants in the city. But the name of this restaurant explains its own specialty, which is Iga or ribs. 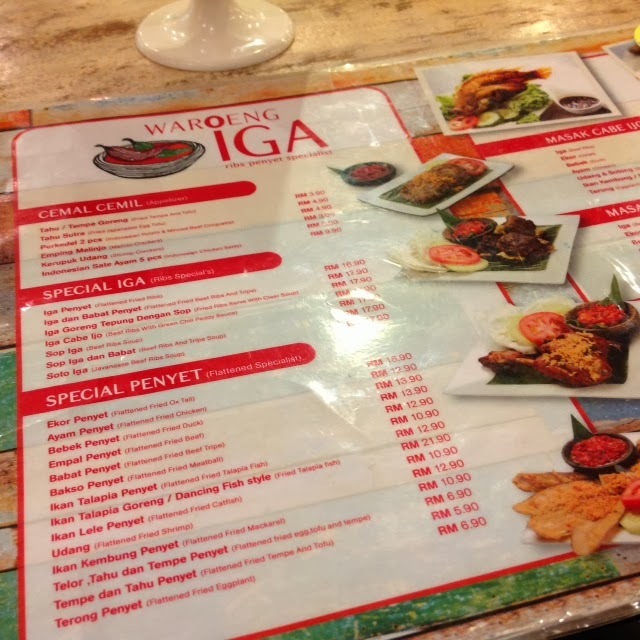 The concept of the restaurant is to give an Indonesian warong (street side cafe) feel. The decor is simple, artsy and very welcoming. Different parts of the restaurant have different decor items and it somehow blends well. 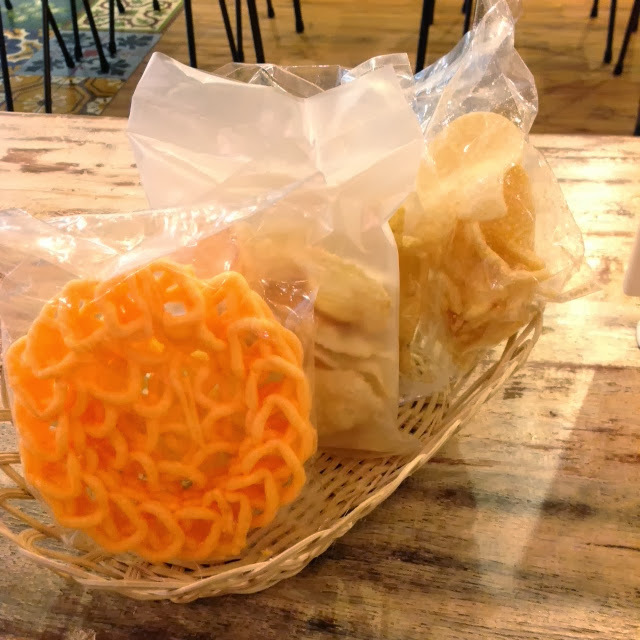 While waiting for your food, enjoy some keropok (Indonesian crackers). 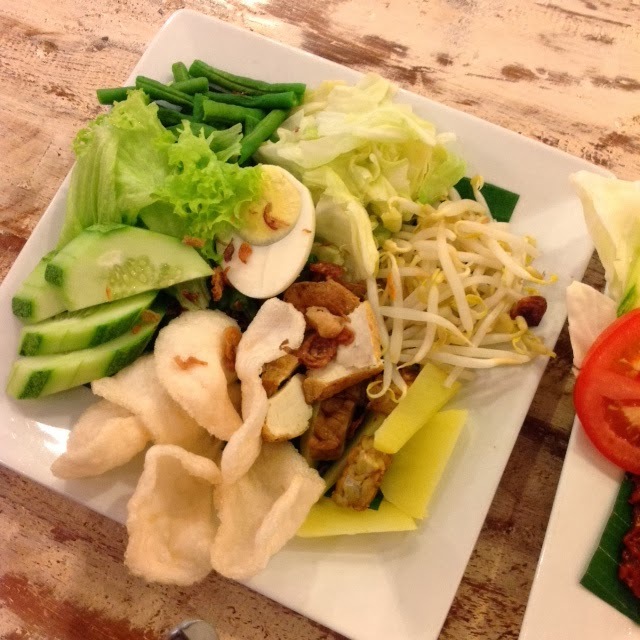 My appetiser : Gado-gado, which is Indonesian salad. I love the kacang sauce that goes along with the gado-gado. 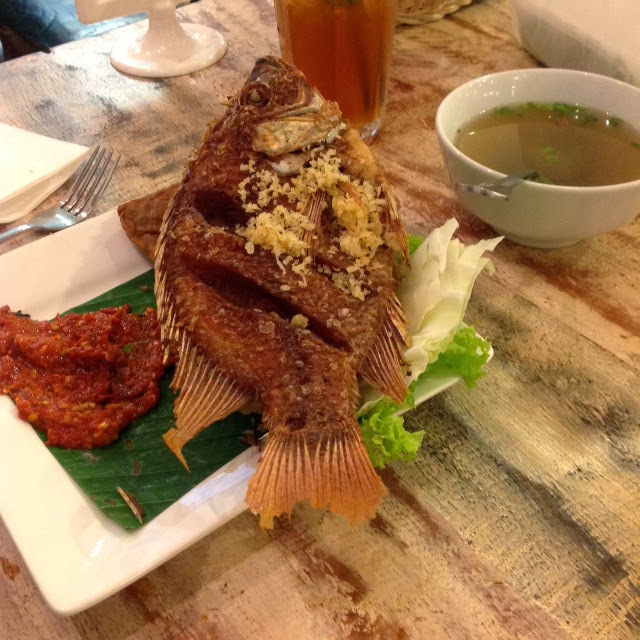 My mum had the Ikan talapia penyet. 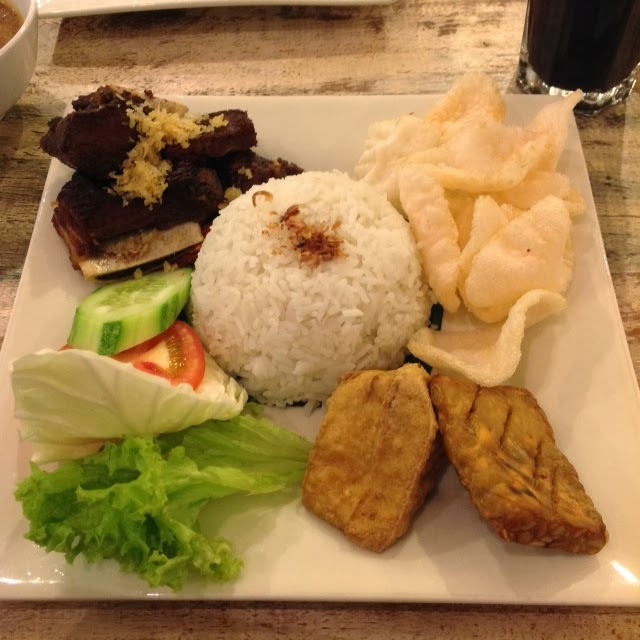 I had the Ribs penyet (rice set). True to the specialty of the restaurant, the ribs is really yummy. The meat is just nice and tender. Eat with your fingers to really enjoy this meal. Goes well with 'kicap manis' and the kacang sauce. They have the sambal too but I can't really take really spicy food so that's why I prefer the 'kicap manis'. INFO: Waroeng Iga, 2nd Floor, One Utama Shopping Centre, 1, Lebuh Bandar Utama, Petaling Jaya, Bandar Utama, 47800. Tel: 03-7732 3677. Follow them on Facebook, Twitter and Instagram.